This package combines the best of Titan™, Vibraderm™, Laser Genesis, and LimeLight IPL to improve skin beyond what was ever thought possible. Aging skin almost always has spider veins and brown spots, large pores and fine wrinkles. Skin texture and appearance can be improved remarkably with Vibraderm™ microdermabrasion, Laser Genesis and LimeLight while it is being tightened with the Titan™. The results we achieve with a combination of these four treatments are much better than the results we achieve with individual treatments. 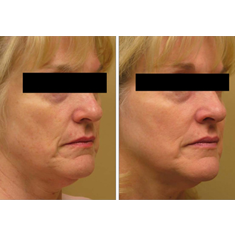 Sagging skin on the face and jowls is addressed with Titan™ while the Laser Genesis works on more superficial collagen and spider veins. In addition, the LimeLight photofacial takes care of pigmentation and redness problems. As a bonus with this package, Vibraderm™ microdermabrasion will be added to the Laser Genesis treatments in order to exfoliate dead skin cells and get excellent results from the laser treatment. 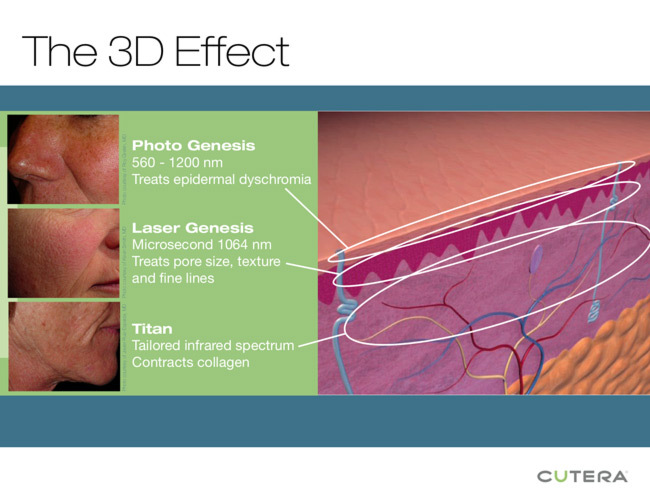 3D Skin Rejuvenation is the new gold standard for unparalleled skin improvement.